Maria's Watercolor: Daisy, Start to Finish! Daisy is precious, thanks for sharing! Thank you Dana! All of the dog breeds are so different, struggle sometimes to get their true character on paper. Maria, you did a wonderful job with Daisy! She looks like a very sweet girl. I enjoy seeing your steps, too. Thank you Kathryn, really want to do some eye studies, as I feel like they need a bit more finish and polish. 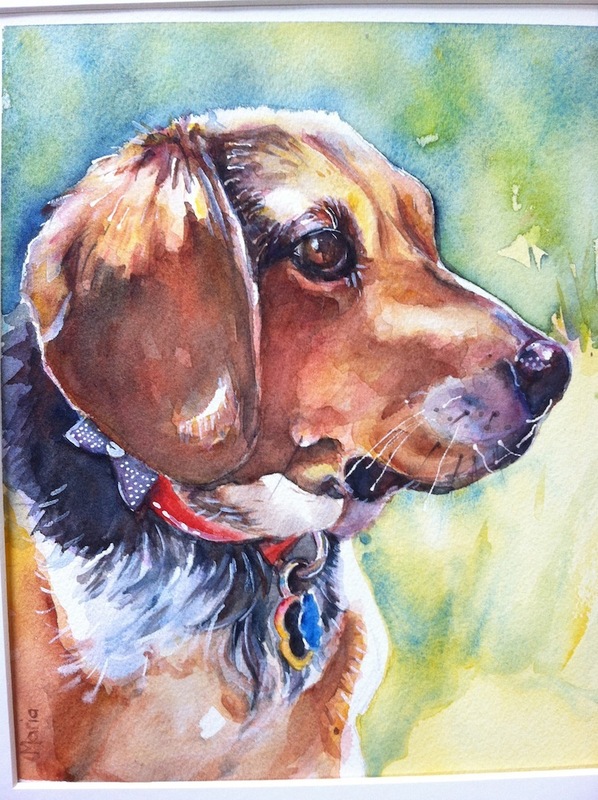 Fabulous, Maria, you do animal portraits so well! I enjoyed the steps, thanks! Thank you Judy! 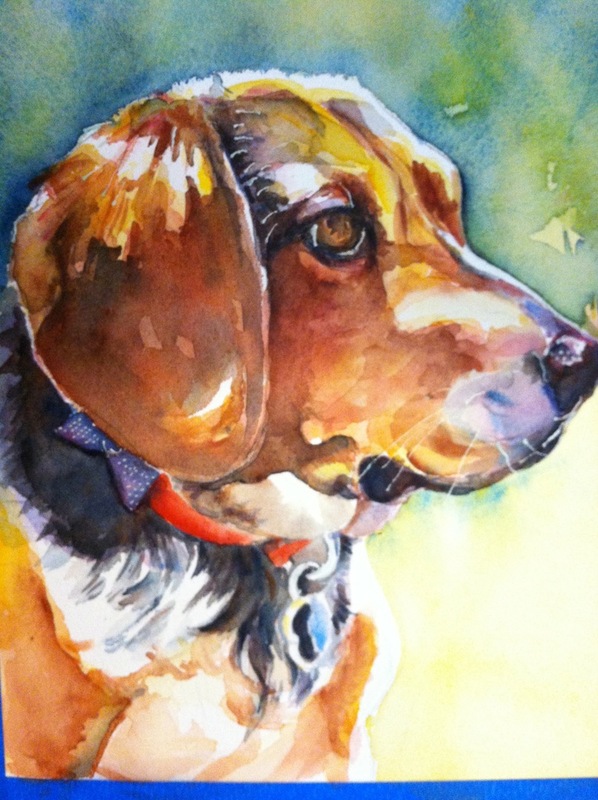 This will be a mothers day present, so I am glad you like it, Daisy was well loved and missed. Thanks Pat! Such a big complement because I just love your work! I think all that anatomy study has helped out, animals are so much easier than any other subject for me. 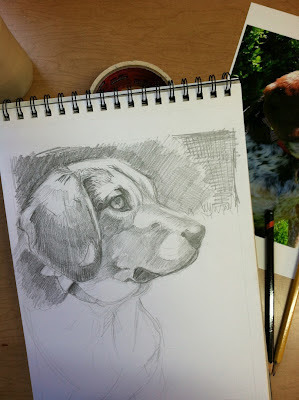 So I keep throwing in new subjects now and then, and go back to animals when my confidence gets shaky! 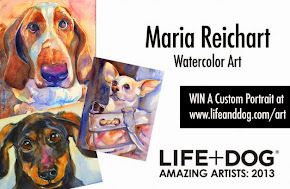 Beautifully painted Maria.Love the light you captured.Excellent! 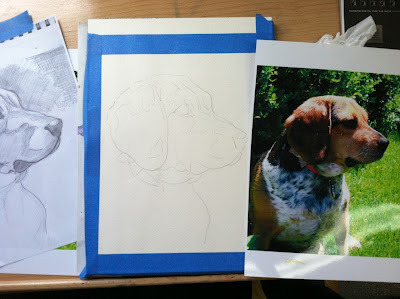 Thank you Yasha, so much easier when the reference photos have good lighting, I haven't yet gotten to where I can add in what I don't see, thank goodness for wonderful photos! Oh Diana, so sorry, I should have thought of that, I know how hard it is when you lose a close friend, so much sadness. It gets better. Brings tears to my eyes remembering that sadness, I pulled the blinds, wouldn't answer the phone and cried for days. It gets better though, now when I look at pictures, I smile, no tears. Thinking of you Diana, hoping your heart heals. The result is very beautiful, Maria! Her expression is so alive! Lovely! I find it hard to do animal portraits in watercolor, so thanks for sharing. 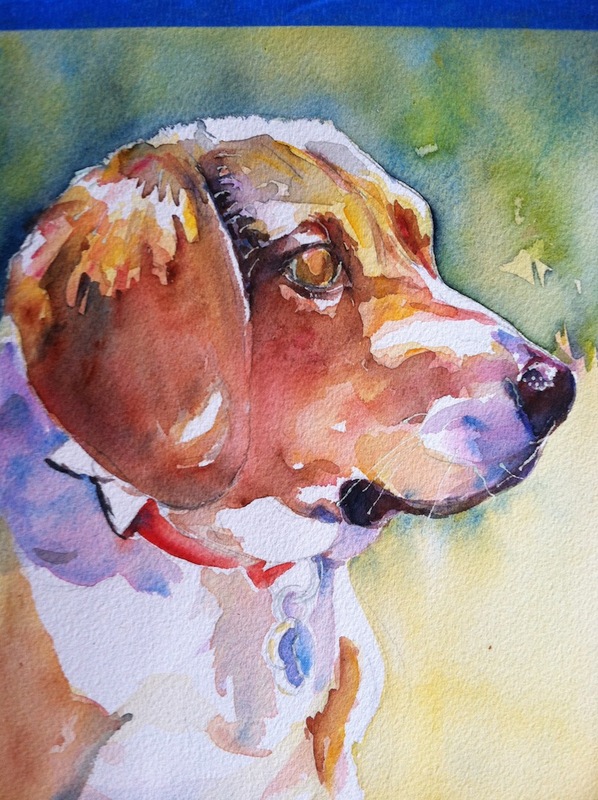 Thank you and I think your animal portraits are wonderful! What a lovely portrait of Daisy , beautiful expression and beautiful colors !